A thirty-something friend of mine, Harold Cunningham, recently asked me about a problem he had. He shared this in confidence but after he told me what he did, I found it to be so radical, I asked his permission to write about it. So here’s what he did, here’s the radical part of his story. He cleared his calendar, and he drove into the mountains. There he parked and hiked up to, through, and beyond this remote abandoned railroad tunnel named Tunnel 13. He spent the whole day up there in the mountains, wandering around seeking God’s help. He said he asked specifically for God’s Helper, His Holy Spirit, to help him forgive his partner. But Harold went there anyway. From the determined look in his eye when we spoke, he was never going to stop going there, until he could find a way to forgive. He was ready to do whatever was necessary to reconcile with his partner. And that’s exactly what Jesus said for us to do. Tunnel 13 has quite a history. In 1923 the DeAutremont brothers tried to rob a train there. The ill conceived plan involved dynamite, guns, and a getaway car but it didn’t end well. To learn more you can read Scott Mangold’s book, Tragedy at Southern Oregon Tunnel 13. More recently, there was a fire inside Tunnel 13. A rail car burned inside of it for days. My fire department helped fight that fire although I wasn’t a part of the response. 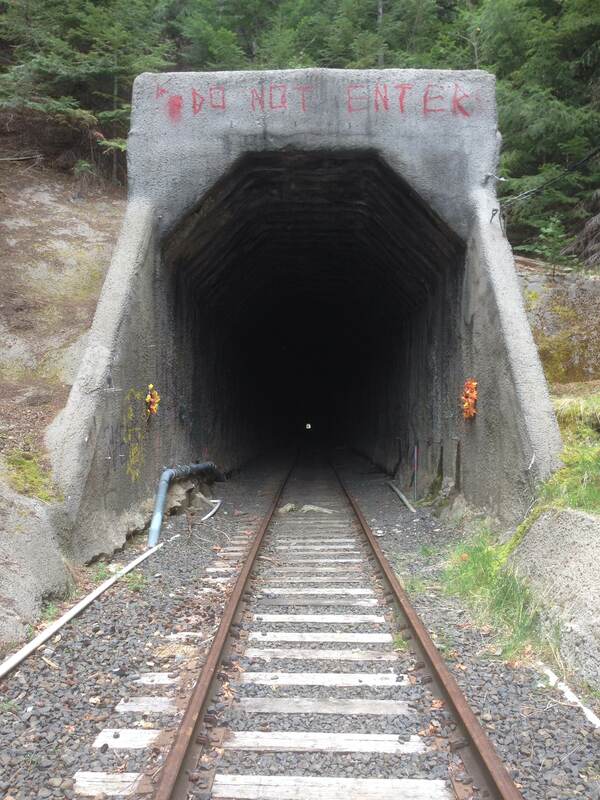 Since the day of that fire Tunnel 13 has been closed. Harold Cunningham’s name has been changed to protect the privacy of the real “Harold Cunningham,” who requested he not be identified. This entry was posted in Bible Commentary, Bible Study, How Jesus Loved People - How You Can Too, Marriage and tagged Christian, forgive, Forgiveness, mercy, teaching on forgiveness by Kurt Bennett. Bookmark the permalink. I find that people tend to say, “Sorry!” when they have offended someone. Yet when I think about that, it doesn’t give the one who was offended the opportunity to answer appropriately. Some might say, “That’s ok”. Others might walk away angry and perhaps never deal with the issue; it would fester and cause more wounding. Would it not be better to say, “I’m sorry for…..forgive me.” This puts the onus on the party that was offended to answer “I forgive you” or not. Oft times, the “sorry” folks get short changed and the offended continues to struggle. Once the offender hears, “Yes, I forgive you” it then puts the offended in a situation whereby he/she must to let go and let God be the judge, thereby healing the breach. This was a wonderful story Kurt, and a great object lesson on the topic. Thank you Kurt for sharing this. Amazing story of forgiveness.